One of the toughest parts about winterizing your swimming pool is the actual time and effort it takes to disassemble your pool equipment. Removing unions, unscrewing fittings, moving equipment around – it all seems like one big project. But what if you could help winterize your pool with unions? Have you ever thought about what you could do to speed up this process? Seriously, how can you make it easier for you and your family to close your pool and reopen it again in the spring? Unlike new pool owners, most of us can’t change a lot about our current equipment set up. In turn, we wanted to provide a list of ideas and union pieces that can potentially make winterizing your pool easier. First, let’s begin with the heart of your swimming pool system-the pump. One of the pump features that pool owners frequently overlook is the inclusion of pump unions. Pump unions hold the secrets behind plumbing ease. Depending on the pump, it may or may not include unions for both quick installations and for the removal during the winter or down season. If they are not included, they are usually available at a local hardware store or online. 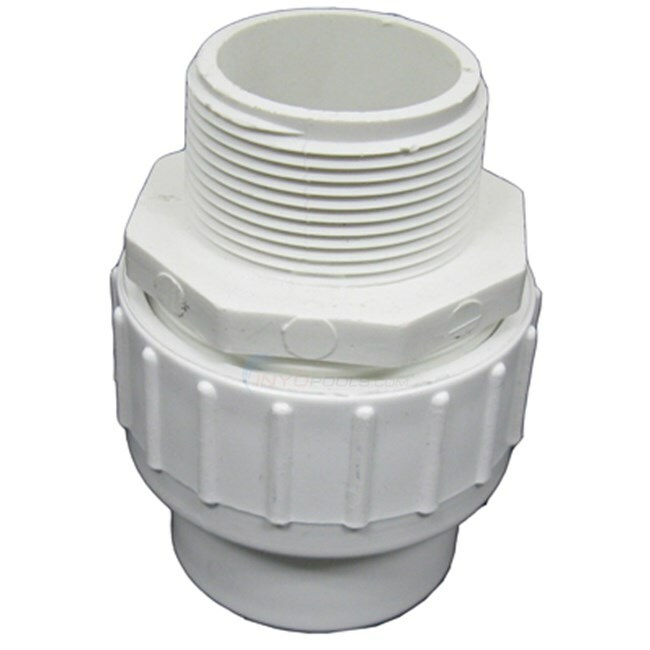 The unions of the Prime models are a 2-inch slip union but can reduce to 1.5 inches if needed. The Pentair SuperFlo is another good example of a pump that includes unions. 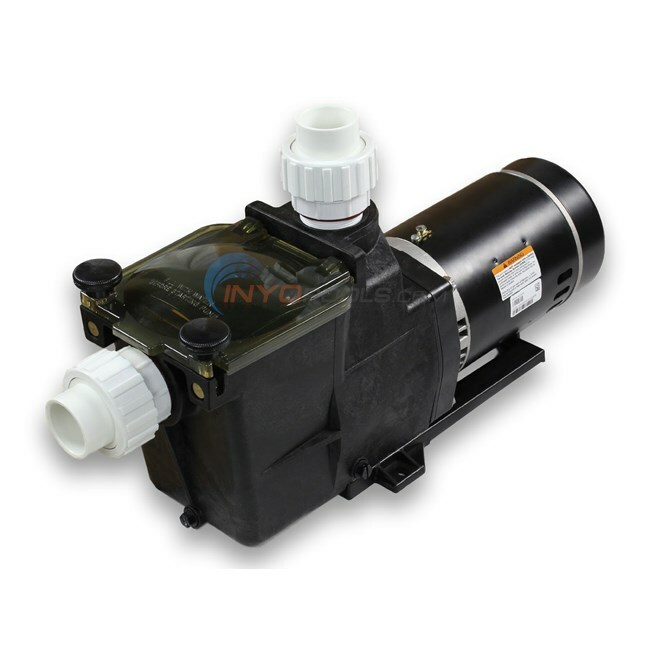 The SuperFlo pump includes unionized fittings with a 1.5 inches internal slip and 2-inch external slip. What happens when the pump you purchase doesn’t include unions or you already have a pump and want to add unions? How do you know which unions to purchase? 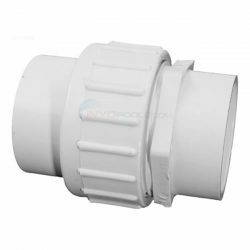 You can plumb both unions into any standard pump’s internal threads as well as filters or multiport valves. Now let’s say, for example, you have a heater after your filter. The heater should include unions as well. This allows pool owners to move the entire heater if necessary. However, if you do not have those unions, you can use inline unions like the ones below. 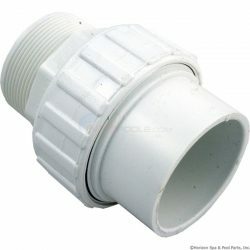 Don’t forget, these units also have drain plugs to drain water from the unit. This is also recommended for winterization. Next, let’s move to salt systems. Salt systems come with unions, so removing them from the plumbing is straight-forward. However, if you have an inline chlorinator, the unions you need varies on the manufacturer. For example, Hayward chlorinators usually include 2-inch union connection. If you need 1.5-inch union connectors instead, you can use the Hayward Union Kit. 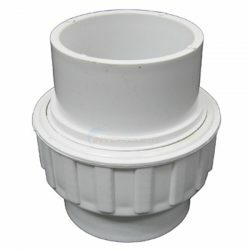 The Hayward Union Kit for the CL100 and CL200 chlorinators come with a set of two flush union connectors. Each female union end connector includes two socket connectors, union nuts, and o-rings. 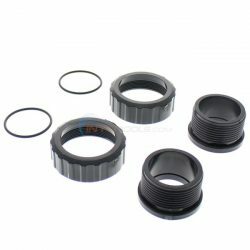 The unions are a 1.5-inch internal slip and 2 inches threaded on the outside. Again, these unions only work with the Hayward in-line chlorinators. If you are a new pool owner and haven’t finalized your equipment yet, you might want to consider purchasing package deals. The majority of packaged deals are designed to save you money, time, and the hassle of ensuring all of your equipment matches up. Here are a few complete equipment packages that make installation, equipment winterizing, and storage quick and easy. If you’re looking for ways that allow you to disassemble your equipment easily for winter, unions are the way to go. You can set up a brand new system with unions or even add them on later. Remember, check to see if the item comes with unions. Unions are included with some items and not with others. However, at the end of the day (and season), you want to winterize your pool equipment quickly and efficiently. PSC Ep. 74: In what order do I add winterizing chemicals? PSC Ep. 75: Why is my skimmer lid blowing off?